Dave explains Gain Bandwith Product and how it's possible to increase your system bandwidth by cascading opamps in series. Also, a discussion on the associated noise issues. A breadboard example shows how variable GBWP can be, and how it can relate to distortion. I'm rather interested in the derivation of that formula in the upper right hand corner. Nice video, I really like this fundamental friday series. You mention that it can be hard to find the right combination of resistors to get a precise gain. I made an excel sheet for this long time ago. Just put in the ratio you need, and the tolence you permit, and all possible combination turn green. Also the android app 'ElectroDriod' is very handy for this. For 9K, surely 2x18K in parallel is better than 2K2+6K8 as it reduces your BOM. At these volumes and item count it makes no difference. Series can have some advantage in terms of single sided SMD layout, and I found they were in stock at the time so just went with that. ...but you don't know what size the next batch might be. 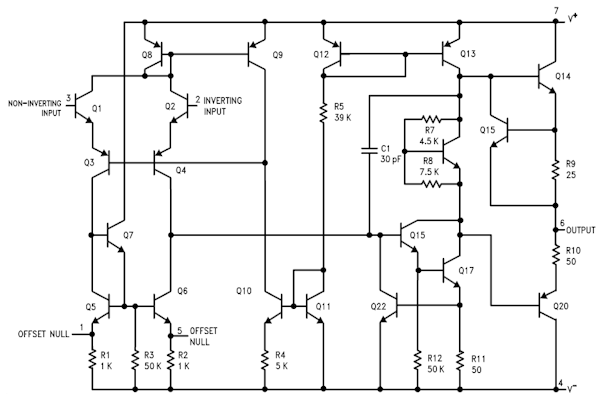 Is there any way to determine from the datasheet if an OpAmp has a constant or variable GBWP ? The logic should be the same for non-inverting opamps, to work-out the right formula. But I know what it's not going to be! The point is these precision resistors don't plummet in price when you jump up a volume notch. You only save 3 cents jumping from 1000qty to 100,000qty for example. It becomes a non-issue unless you are after every last reel space on a machine. Yes and yes. Two in series gives you the option to jump two other traces, and in different locations, and/or returning to the direction you started. That can mean the difference between making a design realisable on a double sided front panel board (like in the uCurrent) or not. Of course on regular double sided board this might not matter at all, but when you are doing a front panel you don't want any traces on the other layer. Thanks for the video Dave, useful. It's pretty precise, but pricey. There are many other ratios available from various makers. If you don't mind E24 200R and 1k8 or 300R and 2k7 does it with 2 resistors. GBW is not to be confused with unity gain bandwidth ! GBW is a meaningless number. it is mainly determined by how high the internal stabilising capacitor is between the longtail and the output driver. This capacitor is responsible for the gain collapse over frequency. A far more interesting number is the slew rate of an opamp. Unity gain bandwidth tells you up to what frequency an opamp can 'follow' the incoming signal when set in unity gain. unity gain frequency is only specified for 1 input level : 0dB. Send a larger signal in there and UGB will go down. Send a smaller signal in and UGB may go up. You can't just arbitrarily send a level into the opamp. There are other problems to be faced : the feedback divider will have stray capacitances due to the PCB material , soldermaks ,greasy fingers etc .. This may have an impact on the frequency/gain response. If you are working in the khz range you may not notice this , go to higher frequencies and it becomes problematic. That is why there are current feedback opamps for high frequencies. These do not care about stray capacitances on the pcb. Thanks. I worked through it and found out how the formula is derived. Why would you want to increase the bandwidth in an application such as this (uCurrent)? I though this would measure ~DC current consumption, especially if you're measuring it with a handheld meter (which don't have 100s of kHz of bandwidth). A far more interesting number is the slew rate of an opamp. Take the first opamp in Dave's cascade ... why would slew rate be interesting for it at all? I can see how it's important to know it can add an additional limit on the bandwidth, but I don't see why it would necessarily be more interesting. I signed up for a µcurrent just to use as a current input to a scope. I don't need it for measuring DC current. In this case the bandwidth increase makes it much more useful. I thought about that, but then wouldn't its [the measurement setup] accuracy be limited by the scope's accuracy? I suppose when you need to make a rough measurement, then it would be fine, but when you're trying to make a measurement with .05% accuracy then I don't think it would work well. The µcurrent only guarantees a .05% conversion accuracy from current to voltage. The voltage measuring accuracy contribution to the max error has to be considered whether scope or DMM. But it is a very nice pre amplified shunt for a scope. Nice video. To gain more insight on these kind of topics one could also use a simulator like LTSpice/PSpice, especially when you want to look at noise and distortion. A comment on non-linearity: If one can see non linearity of CW signals in the time domain, it is usually too late. It is more accurate to characterize non linear effects in the frequency domain (-> simulator or a scope with decent FFT capability, or even an SA).